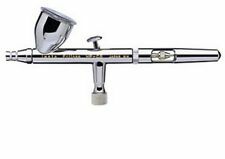 See more like thisEclipse HP-CS Gravity-Feed Airbrush IWA-4207 Brand New! Iwata HP-CS Air Brush / Airbrush. FREE UK NEXT DAY DELIVERY. Authorised UK distributer. This page was last updated: 23-Apr 11:38. Number of bids and bid amounts may be slightly out of date. See each listing for international postage options and costs.